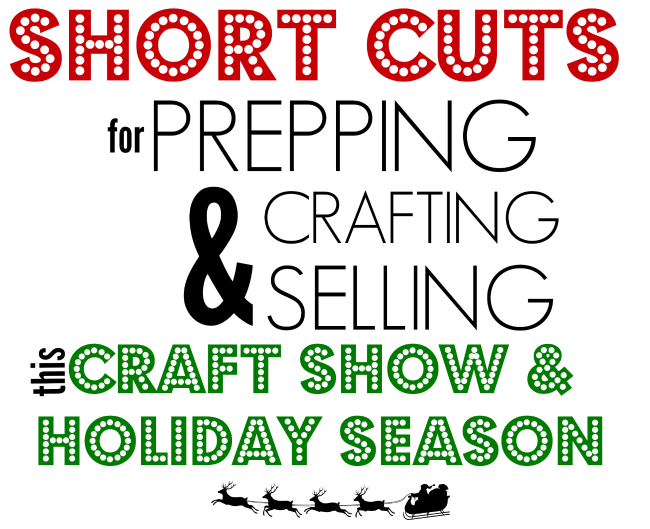 Tips for Preparing for a Craft Show (Or Busy Holiday Selling Season) When You're a Silhouette Seller! I know it's only the middle of August and you're not thinking about Christmas right now - unless, of course, you're gearing up for the busy holiday selling season. Now's the time to start preparing for craft shows and getting your holiday listings in place if you sell locally and on Etsy. When I still had my Etsy shop open and did craft fairs (before this blog took over my life) - I sold more in October, November and December than I did the entire rest of the year. That's why it's critical you start making your crafts now so you have enough in stock and you are ahead of the game when the orders start coming in! 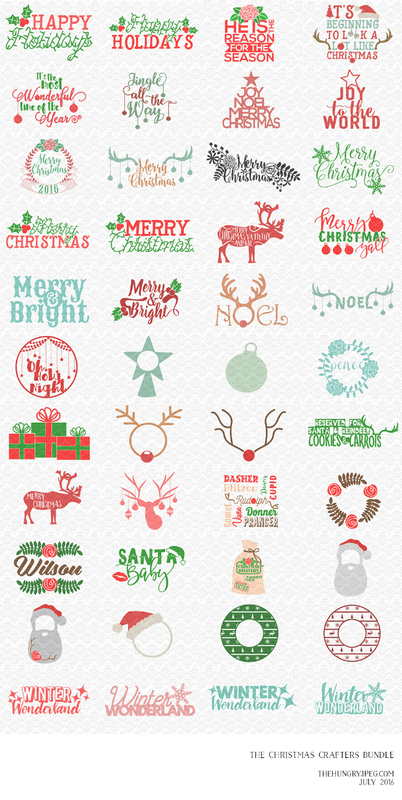 Speaking of being ahead of the game...The Hungry JPEG just released a special Christmas Craft bundle which includes 44 commercial use Christmas designs. I seriously wish I had this available when I was selling because it would have saved me a ton of time designing Christmas files I could legally sell. I would suggest you pick a handful of the designs - not all of them - and use them in various ways. By doing this, you are giving yourself the opportunity to start cutting the designs and listing products now - long before you get your first order. You can then personalize them when you need them! For example, let's say you are going to sell customized kids Christmas shirts. You could cut a bunch of the reindeer monogram frames now on HTV and having them waiting so when you get an order all you have to do is take one of your pre-cut reindeer frames, cut the monogram and press them both onto the shirt. I have also found the easiest way to handle the busy holiday crafting and selling season is to limit your offerings. Offer just two or three different variations on each item so you can prepare ahead. If you offer too many variations you'll have to start each order from scratch. Let's say you sell pillow covers - offer one size and only three or four different design choices (don't forget to bundle them as a set at a slight discount to increase sales). Again this gives you the opportunity to work ahead and create a stockpile which you will definitely need if you are selling at your first craft fair, but also if you are selling on Etsy or locally. And finally, you do not have to wait to put up Etsy listings until you have the actual products made! You can create mock ups in Silhouette Studio. This will give your listings some time to get established with the search engines while you're then creating the actual item. 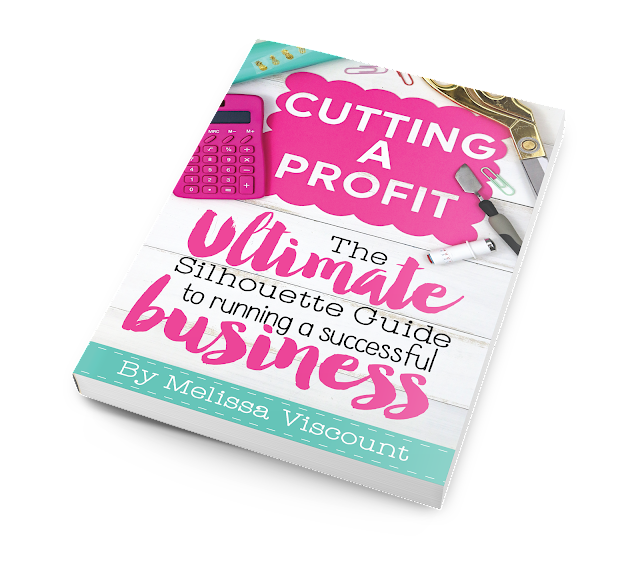 If you like my Silhouette selling tips like this, definitely check out my latest 110+ page ebook, Cutting a Profit: The Ultimate Silhouette Guide to Running a Successful Business. 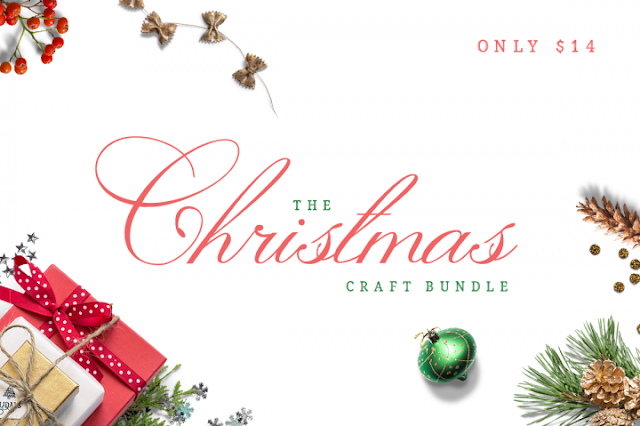 And don't forget to grab that Christmas Craft Bundle from The Hungry JPEG I mentioned because it will only be sticking around at the $14 price or another week or so! HI with the exception of the chapter on registering your business I think you would find the information useful no matter where you live. Hi Melissa! A very timely article! I am preparing now for the holiday season. My first show is in October. A question--when you suggest bundling like items to save money, how do you do that? Say I have a bracelet I sell for $12. I offer 3 for $34. Then would I do 6 for $68? do you have a structure or formula for this type of deal? thanks in advance! Typically I would offer something like a 10% discount on 3 and then 15% discount on 6. So if the bracelet is $12 I would offer 3 for 32.50 and 6 for $61. My favorite way to use my Silhouette is cutting adhesive vinyl for decals!